A relationship should result in a happier version of ourselves. Some people believe that having the right person in their lives will automatically make them happier, but we all make mistakes in this department. But, rather than admit we’ve made the mistake, we tend to stick it out, and try to make the relationship work. 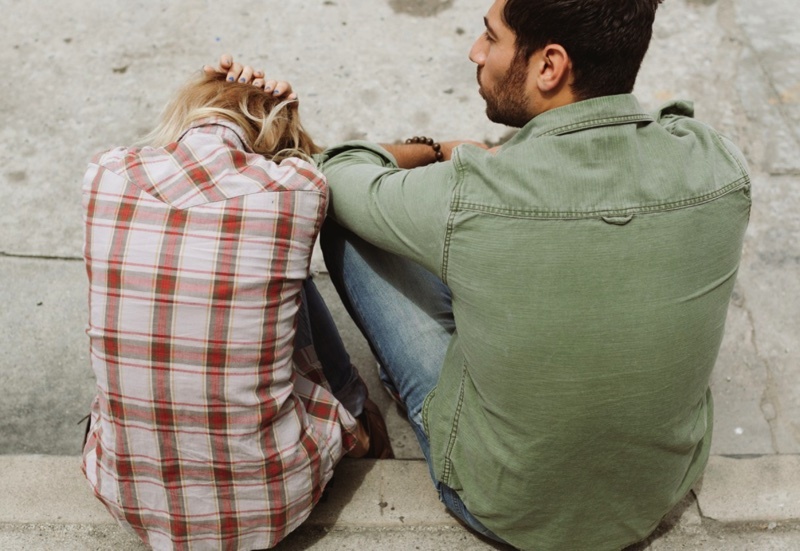 Of course, tenacity and resilience are essential to any relationship, but there is a point where it’s a lost cause, and it’s got to the point where you feel stuck or unhappy. What are the reasons, and what can you do to break free? We’ve got to the point where it’s not just about the two of us anymore; there may be pets, mortgages, debts, and children. As such, we feel our individual priorities slip down the pecking order. We make sure that everything else is catered for, often to the detriment of our happiness. It can feel like a house of cards, you take one of the essential ones out, and everything will collapse, and a lot of us don’t like the idea of being saddled with this guilt. This is completely understandable. We can find ourselves overlooking certain characteristics of the other person that, not only we find upsetting, but other people have noticed too. The big problem with this is that once these issues are left to fester, they can get worse. Something small could soon develop into something far worse, such as abuse. When we encounter abuse, either physical or emotional, we tend to justify it in one way or another. But, when it gets to the point that these justifications happen all too much, and other people feel they have to interject, it’s time to take action. Because of the life you have built together, as well as responsibilities, you could find it incredibly difficult to sever the ties. But if it gets to the point where you are perennially unhappy, and you wake up and realize that the person you are now is not the person you want to be, then you deserve to be the person you once were. Contacting the police, or a battery defense lawyer is extreme, but if you are fearful for your safety, then you need protecting. Likewise, even if you feel you’ve been emotionally undermined all this time, the other person may not even see it, in which case, confronting them and/or leaving them will possibly make them realize the errors of their ways. Of course, these people swear they will change, but we all know deep down that this is seldom the case. We can get tangled in these webs, and when it comes to decluttering your life, you may realize that a relationship is not just about you serving the other person. It can get to the point where we feel perennially unhappy in this construct, and the fact of the matter is, we don’t need a relationship to make us happy. Nobody needs to live in an unhappy relationship. Previous Post Agricultural Gardening: Is It The Next Big Thing? Next Post What Are America’s Most Dangerous Jobs?